Voters in Chicago’s 14th Ward were apparently unfazed by their longtime alderman’s serious legal predicament and re-elected Ald. Ed Burke to a 13th term in office. Burke, who in January was charged with one count of attempted extortion by federal prosecutors and remains under FBI investigation, barely surpassed the 50-percent mark. But that was enough to ensure he would not face a runoff against either of his two challengers, civil engineer Tanya Patiño or attorney Jaime Guzmán. This spring will mark Burke’s 50th year as an alderman. But he’ll commemorate the occasion with far less power than he’s had for decades. Following the federal charge, Burke resigned as the powerful chairman of the City Council Finance Committee and also stripped of the chairmanship of the workers’ compensation program. Burke could also face additional charges in the weeks running up to his next swearing-in ceremony. 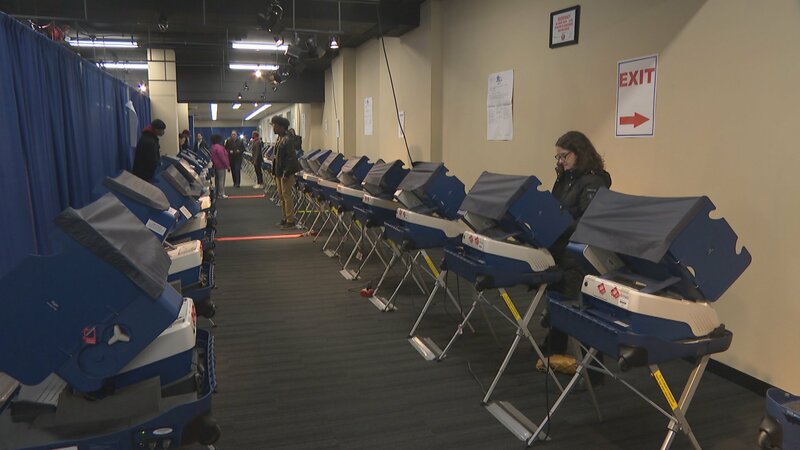 The most surprising of the aldermanic upsets in Tuesday’s municipal election took place in the 49th Ward, where voters brought Ald. Joe Moore’s nearly 30 years in City Council to an end. Progressive challenger Maria Hadden, executive director of a nonprofit organization, ran away with the election in the far north lakefront ward, receiving 63 percent of the vote with 96 percent of precincts counted. A major upset and the loss of a veteran Latino alderman in the City Council came in the 1st Ward as embattled Ald. Proco “Joe” Moreno lost to 38-year-old Daniel La Spata by a wide margin, with La Spata receiving 61 percent of the vote and Moreno securing just shy of 39 percent of the vote with 97 percent of precincts counted. Moreno was rocked by two scandals in recent months. First, he appeared in a federal affidavit in connection with Latino powerbroker Victor Reyes. That was followed by a separate investigation into whether the married alderman filed a false police report against his alleged girlfriend. Moreno denied wrongdoing all around. La Spata also made headlines in the run-up to the election when a photograph of his bachelor party surfaced in which La Spata, who was wearing a banana costume, and his friends wearing monkey maskes posed with four African-American youth in downtown Chicago. The alderman-elect insisted it was a random encounter and not a racist act. Another stunner came in the 40th Ward where incumbent Ald. Patrick O’Connor, who’s served in the City Council for more than 35 years, is heading into a runoff election with 39-year-old progressive challenger, Andre Vasquez, an area manager for AT&T. O’Connor pulled in just 33 percent of the vote, while Vasquez garnered 20 percent with all precincts counted. In January, O’Connor replaced his embattled colleague and ally Burke as chairman of the City Council’s powerful Finance Committee. Ald. Marty Quinn ran away with the race in the 13th Ward receiving nearly 86 percent of the vote. His opponent was 19-year-old DePaul University student David Krupa, who received 14 percent of the vote with 93 percent of precincts counted. Both men entered the election with scandals hanging over them. For Quinn, it was the embarrassment of his brother Kevin Quinn’s alleged harassment of a female political consultant which led to Kevin Quinn’s resignation from his post as an aide to Illinois House Speaker Michael Madigan. But Marty Quinn was the woman’s political mentor, and she accused the alderman of turning a deaf ear when she reported his brother to him. The alderman says he took appropriate steps to look into the allegation. For his part, Krupa was accused of sexually assaulting a former girlfriend when they were both underage, leading her parents to seek a restraining order against him. The restraining order was vacated last year. 44th Ward Ald. Tom Tunney held back a challenge mounted less by his two opponents than by the billionaire owners of the Chicago Cubs. The Ricketts’ family contributed generously to the campaign of nonprofit consultant Elizabeth Shydlowski in an effort to unseat Tunney, who has pushed back against some of the Ricketts’ demands for transforming the Wrigleyville neighborhood. A second challenger, Austin Baidas, admitted he entered the race after meeting with Laura Ricketts. 44th Ward voters overwhelmingly backed the incumbent giving him more than 64 percent of the vote, with 97 percent of precincts counted. Baidas and Shydlowski came in a distant second and third, respectively. A number of other incumbent alderman will face a runoff election, including 5th Ward Ald. Leslie Hairston, who will face William Calloway; 16th Ward Ald. Toni Foulkes who was trailing challenger Stephanie Coleman; 21st Ward Ald. Howard Brookins will face Marvin McNeil; 30th Ward Ald. Ariel Reboyras, who was in a very tight race with Jessica Gutierrez, the daughter of Luis Gutierrez, the former congressman and alderman ; 31st Ward Ald. Milly Santiago will be challenged by runner-up Felix Cardona Jr.; 33rd Ward Ald. Deborah Mell, who ended the night trailing Rossana Rodriguez Sanchez; 43rd Ward Ald. Michele Smith will face off against Derek Lindblom; and 46th Ward Ald. James Cappleman who held a substantial lead over Marianne Lalonde. Get more information about the candidates running for mayor, alderman, city clerk and treasurer in our Chicago Voters’ Guide.